The Goon Sax’s debut album ‘Up To Anything’ dabbled in teenage vulnerability without ever sounding naive. The trio’s propensity for world-weary indie pop was filled with warmth and promise, but it’s elicited on ‘We’re Not Talking’ with more confidence and conviction. Here, the enthusiasm of youth collides with darker sounds and more sophisticated lyrical themes, but without smothering their impulses for bright melodies. Relationships – which were depicted with wide-eyed fragility on ‘Up To Anything’ – are now laced with remorse and compassion, even if it’s served with a regular dose of self-deprecation. Louis Forster’s accented turn of phrase – eerily reminiscent of his dad Robert Forster of The Go-Betweens at times, particularly on ‘Sleep EZ’ – is more assured and dominant. The dynamics have shifted, too: drummer Riley Jones and bassist James Harrison’s contributions are more prominent, with all three adding vocal parts that form a vital backbone to the album’s overall sound. Jones’ soft refrain on the leisurely ‘Strange Light’, for example, beautifully recalls the gentle melancholy of The Pastels. It’s these new instrumental additions that add a nuance to where it was missing on ‘Up To Anything’ – the inclusion of strings on ‘She Knows’ recalls The Raincoats’ famed brand of uninhibited chaos. Drum machines also make an appearance on ‘Losing Myself’ where Riley and Harrison’s contrasting, call-and-response vocals work together seamlessly, in the same way, say the sweet sincerity of Beat Happening’s Heather Lewis’ voice counteracted the smooth baritone of Calvin Johnson’s. However, ‘Make Time 4 Love’ might be the song that best cements The Goon Sax’s reputation as a band who haven’t made wrong step yet: this is indie pop at its melodic, bittersweet best – honest, heart-felt and replete with hooks that stay in your head for days. 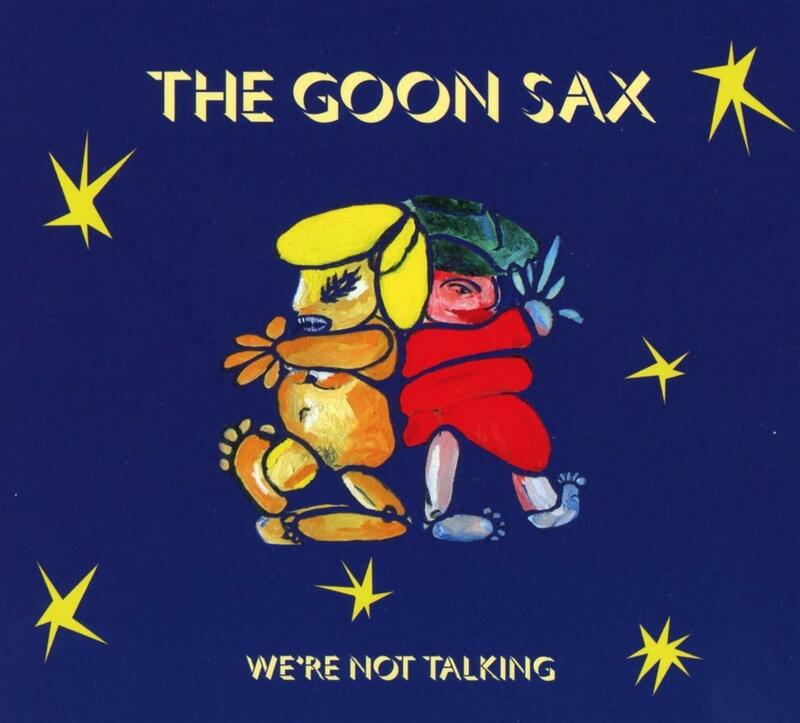 Seemingly, the difficult second album was a non-issue for The Goon Sax: ‘We’re Not Talking’ manages to further embellish the adolescent brilliance of their debut. They experiment with pop’s history while still continuing to grow into a sound that’s undeniably their own. Shamelessly introspective and romantic, but not afraid of making light of life’s grievances, The Goon Sax are an anomaly – they’ll get better with time, and that’s a very exciting prospect indeed.